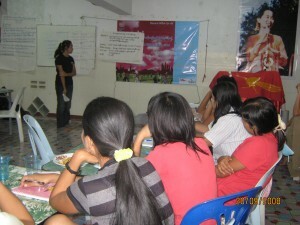 A new three year UnionAID project with Burmese migrant workers will have a strong focus on leadership training for women. The project has been approved under the NZAID KOHA-PICD programme which will mean that $4 will be paid by Government for every $1 contributed by UnionAID. The project will provide leadership training, labour rights education and resources to Burmese migrant workers. In particular the women workers will gain the skills and knowledge to enable them to advocate and organise around employment issues and needs, in order to improve living and working conditions for themselves and their families. The project will also plan and develop an occupational-based training centre for women workers opening in 2010. Solidarity will report on this project in more detail in future issues. New UnionAID project in Burma?